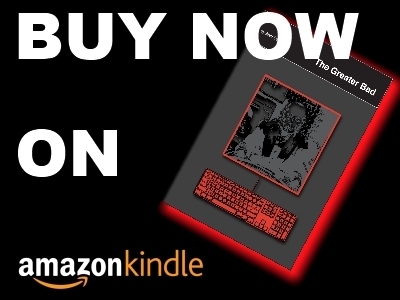 | The Greater Bad is a quirky, action-packed conspiracy thriller by Alan Cork that combines high-tech drama with classic pulp novel motifs. Martin Lock has always been viewed dismissively by family and work colleagues, so when a shady company take-over leaves his editing job on the line he’s prepared to lose his livelihood. But for his new employer – mysterious multinational QPL – that isn’t enough; the board of directors also expects Martin to lose his LIFE. Caught in a honey trap that swiftly becomes a blood bath, Lock finds himself on the run from a band of top assassins known as the Life Stealers. These merciless killers have already dispatched his close friend for getting too close to the truth and their chief, Mr Stone, will stop at nothing to reach his latest target. Framed by Stone for a series of murders he didn’t commit, Lock is hunted by the police while he desperately tries to unravel the real nature of QPL. 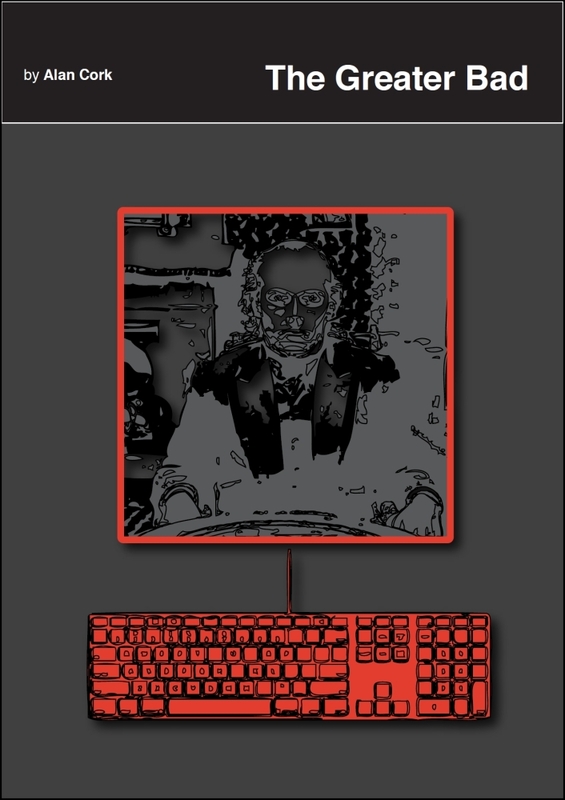 The answer may lie in a flash drive containing the work of brilliant but unbalanced scientist Dr Clement Reeves. But with Reeves seemingly dead and no-one left to trust, how can he ever hope to discover the significance of his only clue: the code word ‘Athena’? As the corpses mount up and Lock’s enemies close in, a secret cult formed in the days of Queen Victoria stirs beneath the streets of London. Should they succeed in their pursuit of the “Greater Bad”, the next takeover made by QPL might just be the world. The Greater Bad is a high-tech, action-packed conspiracy thriller that will keep you guessing until the very end. Author Alan Cork echoes classic conspiracy thrillers such as The 39 Steps with his motifs of a reluctant hero and innocent man on the run, but brings things firmly, and shockingly, into the 21st century with high-technology and power-hungry, blood-thirsty multi-nationals. The novel features many twists and turns, deceptions and double-crossings and narrated retrospectively in the first person, The Greater Bad has a certain noir feel about it. Comparisons can also be drawn with the James Bond films (sharp one-liners and memorably chilling characters), the works of William Gibson (speculative technology and corrupt corporations) as well as Dan Brown (a dangerous cult) and Preacher-writer Garth Ennis (the supernatural). The author, however, has combined all these influences into something bold, fresh and unique. The Greater Bad is a real page-turner packed with mystery, suspense and gritty violence. It will appeal to fans of the thriller genre as well as those interested in speculative and supernatural fiction and is the MUST READ novel of 2011. It is available on Amazon.co.uk as an eBook, priced £5.74.